Mid-September is such a gorgeous time of year. All the trees are changing to the beautiful orange, yellow, and red colors that announce Autumn’s arrival. All too soon, those leaves start to fall, and homeowners everywhere break out their leaf blowers to clear their yards of debris. 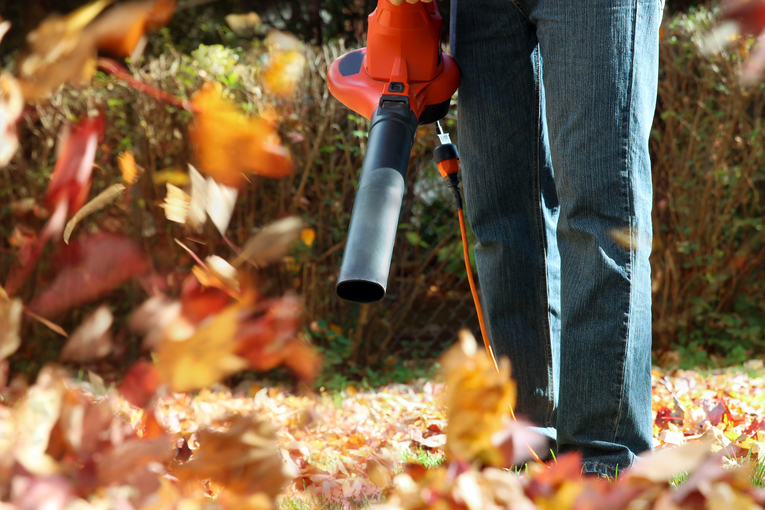 We’ve compiled some tips and tricks about how to use a leaf blower safely and efficiently. Be sure to read the owner’s manual of your leaf blower thoroughly, especially on the first use of your equipment. It doesn’t hurt to read through it again if you haven’t used the blower in a few months. 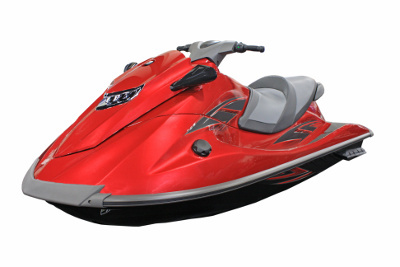 Make sure you inspect the equipment and ensure all parts are in working order with nothing missing. Many leaf blowers come with attachments, but companies like Stihl will remind you, it is never a good idea to modify a leaf blower beyond what is outlined in the owner’s manual. When using your leaf blower, being aware of your surroundings is very important. Never point it at people or pets, both of whom should be fifty feet or more away during use of the leaf blower. It is not a good idea to use a leaf blower indoors, though using them to blow out your garage is handy, but only because it is a well-ventilated area. Personal safety is important to think about as well. Use protective eyewear while using your leaf blower to keep debris from flying into the eyes. These should be not just sunglasses, but eyewear that prevents debris from getting into eyes from any direction. Wearing long sleeved shirts and pants is also recommended to protect the skin from any injury. Closed toe shoes, such as tennis shoes or work boots are also recommended when using a leaf blower. Depending on whether you use a gas or electric leaf blower, the noise level is different. Consider using ear protection as well. As with any yard project, it is easier and more efficient to have a plan of attack when using the leaf blower! For example, if you are using the leaf blower for removal of leaves, consider the direction of the wind and use of a tarp. It is easier to work with the wind than against it, so place your tarp in an area you can blow the leaves to with the wind. Once you have the area of your yard cleared, you can dispose of the leaves off of the tarp. Some people will put leaves into bags to be disposed of by hand. Another option is to pick the entire tarp up, folding corner to corner, to remove the leaves in step. If you plan to remove the entire tarp, it might be a good idea to enlist a partner to help you. When blowing the leaves onto the tarp, you should also consider leaving ample space around the edges so leaves don’t spill out from it as you fold it up. You should be aware of the height of the leaf pile, making sure it doesn’t get too tall to fold up the tarp. Don’t expect every leaf to get onto the tarp with the leaf blower. The bulk of the job can be completed, and then use a rake to get any remnants of leaves into a pile for disposal. If you have a garden, you might also consider creating a compost pile with the leaves. If it’s too windy you might want to consider moving the task to another day. You can work with a light breeze, but any more than that and you may clear your yard only to see the wind has blown a whole new batch of leaves right behind you! If it has rained recently and the leaves are wet, there’s a good chance it will make the use of your leaf blower impossible. Dry leaves are the most manageable when clearing your yard, so keep a watch on the weather forecast for a few dry fall days in a row to pick out the best time to use your leaf blower. When buying a leaf blower, you will want to consider not only the brand but the type of leaf blower. Electric leaf blowers weigh less and are generally cheaper than gas leaf blowers. If your yard doesn’t have many trees or isn’t that big, this may be something you’d like to consider. Some electric leaf blowers have batteries and some have cords, this is also a choice you’ll need to consider, given the reach of the cord or the life of the battery. Gas leaf blowers are heavier and cost more than electric leaf blowers. However, if you have a large yard with more trees, gas leaf blowers are much more powerful, so they will be more efficient in getting bigger jobs done. Fortunately, the ANSI has created a new standard of measurement that will measure the force of the leaf blowers available for purchase. You’ll have a method of knowing precisely how powerful your blower is before you pull it out of the box. If you’re using your leaf blower to blow out the garage, start with the leaf blower close to the ground. This will kick up a lot of dust, so slowly raise the blower to a height where dust no longer is an issue. Always blow in one direction to avoid blowing debris into an area you’ve already cleared. If you’re wanting to be more courteous to neighbors, most leaf blowers come with a nozzle attachment that will reduce the noise of the leaf blower. Leaf blowers have a range of uses, not just for fall leaf removal. You can use the leaf blower to clear a light layer of snow on your driveway, clean dust and dirt off other equipment, clean out leaves from rain gutters, dry up pavement, or even remove clumped up grass from your yard. Hold the leaf blower to the side of your body and keep the nozzle at an angle toward the ground. Try to make your movements smooth as you move the blower side to side to remove debris. Ready to get to work in your own yard? Contact us today, and we’ll help you find the right leaf blower for you! Snow Plows, Snow Pushers, or Snow Buckets: Which attachment is right for the job?